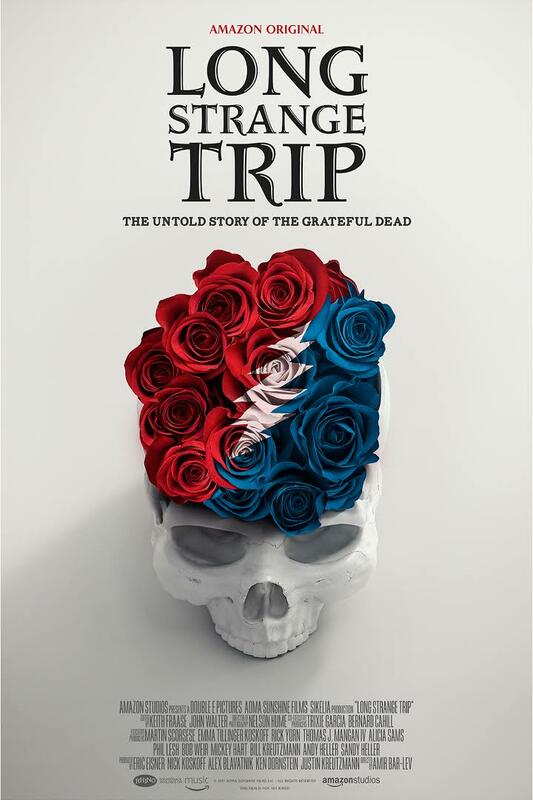 Amazon Films has produced a solid documentary series on the Grateful Dead. These guys threw a ton of capital at this. High production values: who knows what the crew and subjects were paid, but I’m guessing it was sizable. Long Strange Trip will be worth watching for a long time, but probably and in the main, only by those truly interested. For the rest, subjected against their will to someone else’s interest, rest assured that you’re not obliged to watch. You can nap. One of its great virtues lies in the brutally frank portrayal of the toil of San Fran partying. More than once, a surviving band member weeps openly for the loss of another too early. Why too early? Overconsumption of dangerous intoxicants. Not a huge revelation. Still, this candid depiction of loss is harrowing. How the producers set, carried out, and accomplished such raw interviews I do not know, but the effect is memorable. Of course the soundtrack earns its magnificence. Nonstop fine versions of Dead and JGB songs. A notorious Senator (or ex-Senator?) supplies his favorite version of “Althea.” I despise the guy but it’s a damn fine “Althea” rendition. Sleep or perchance to dream. The highlight of the entire series lies in interviews with the Dead’s tour manager, the wiry Brit Sam Cutler, also (in)famous for his role in the Altamont debacle in 1969. Still lively in his 70s, this dude — whose job it was to corral these miscreants and degenerates & get them playing every night — supplies the series’ finest performance. It seems the Dead earned and consumed capital in a comparably astounding proportion, both sides of the ledger being substantial. Financiers were forever agitated. The tour burn rate remaining very high, they relied on the loyalty of Deadheads and played constantly. It was not an atmosphere conducive to health; but it was unforgettable for almost everyone involved. Don’t forget that the single clear point of unified emphasis with all Deadheads (from the 60s acid-test idiots to the cokehead yuppies in the 80s to the average one-joint-n-done middle class fans) is nothing more or less than fantastic music. I submit that at his best, Jerry Garcia played the purist guitar in 20th century American popular music. Alongside that, the band frequently performed superbly: the combination of tight arrangement and brilliant improvisation, in their best performances, remains unsurpassed. Long Strange Trip is definitely worth watching if you like what I’ve mentioned.